HISTORIC GRAND HOME BUILT IN 1887. #71 ON THE CITY OF RIVERSIDE HISTORIC LANDMARKS. 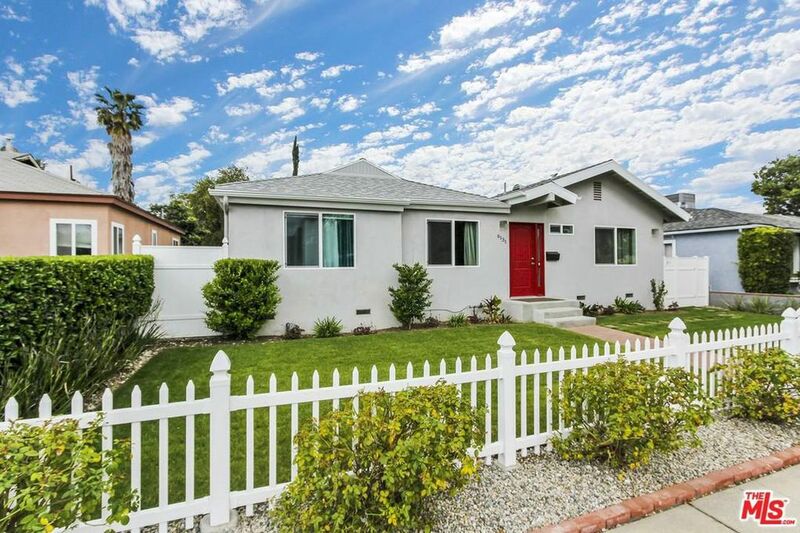 SEE PLAQUE IN FRONT YARD, THIS HOME WAS WELL CARED FOR AND MAINTAINED, COMPLETELY UPDATED TO TODAY’S STANDARD OF LIVING WITH MAINTAINING THE HISTORIC CHARM OF YESTERYEAR. THIS HOME FEATURES ALL THE BULLS EYE 8 INCH TRIM, ORIGINAL LIGHTING AND HARDWARE THROUGH OUT, ORIGINAL POCKET DOORS TO DINING ROOM WITH ORIGINAL TILE FIREPLACE AND ORIGINAL METAL SURROUND, ORIGINAL KITCHEN CABINETS, ORIGINAL FLOORING, ORIGINAL CLAW FOOT TUB, ORIGINAL STAIR RAILING, ORIGINAL EXTERIOR DETAIL, TRIM AND FINIALS. DROP DOWN STAIRS TO HUGE ATTIC. NEW INTERIOR DRYWALL, NEW INTERIOR/EXTERIOR PAINT, NEW KITCHEN COUNTERS, ORIGINAL KITCHEN CABINET HARDWARE. BEAUTIFUL FEATURES THROUGH OUT INCLUDING CARVED HINGES ON EVERY SINGLE DOOR. MASTER SUITE IS PRIVATE AND LARGE WITH IT’S OWN BATHROOM, WALK IN CLOSET, BUILT IN DRESSER AND SCREEN IN SUNRISE OR SUNSET PORCH OVER LOOKING THE TREE LINED STREET. 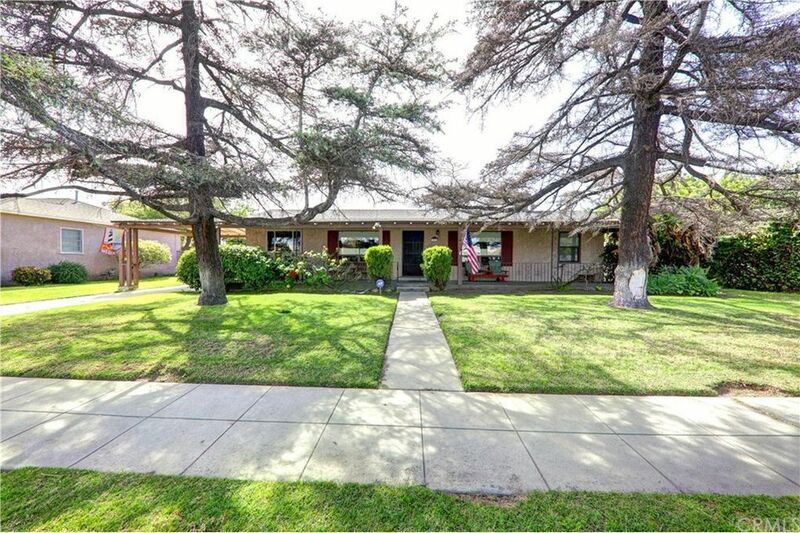 LARGE REAR YARD AND GARDEN AREA WITH NEWER LARGE 3 CAR GARAGE, FRUIT TREES, BRICK PATIO.WALKING DISTANCE TO HISTORICAL COURT HOUSE DISTRICT AND WALKING TO DOWNTOWN MISSION INN, FOX THEATER, MUSEUMS, RESTAURANTS, ENTERTAINMENT AND MORE FOR ALL AGES. 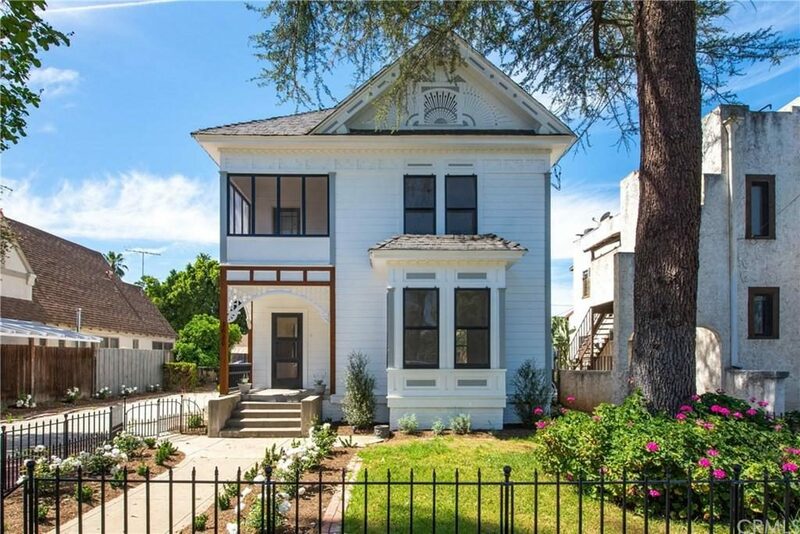 THIS BEAUTIFULLY REDONE HISTORIC HOME IS A MUST SEE! If one is looking for an extremely well priced home that has been lovingly cared for, one need look no further than this ABSOLUTELY CHARMING family home with an abundance of features. 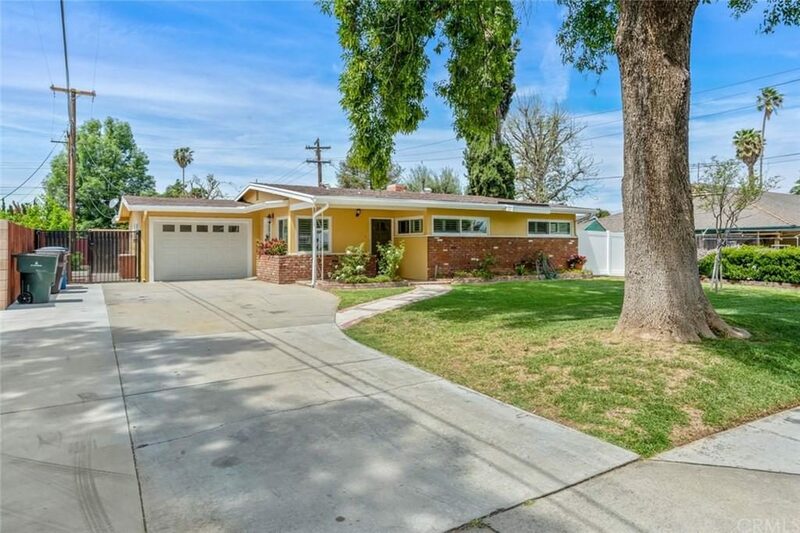 Very well sited in a lovely neighborhood served by sought after schools, this three bedroom, one bath gem on ONE STORY, also offers a Large BONUS ROOM, which can be used as a bedroom or family room or whatever you choose. This home shows very light and airy and is just ready for the next lucky family to make it their home. If one is also looking for GREAT PARKING, then this is also sure to please. Besides the two car garage with direct access, there also is additional paved RV PARKING that should accommodate your needs. As an added bonus, there also is a free standing structure to the rear which is just waiting for you to enjoy as your needs desire. Great shopping and transportation are nearby as well as an abundance of recreational opportunities. Ceiling fans, dual paned windows and more add even more to this home which you will be more than proud to share with your family and friends. Enjoy. It’s all in the details! 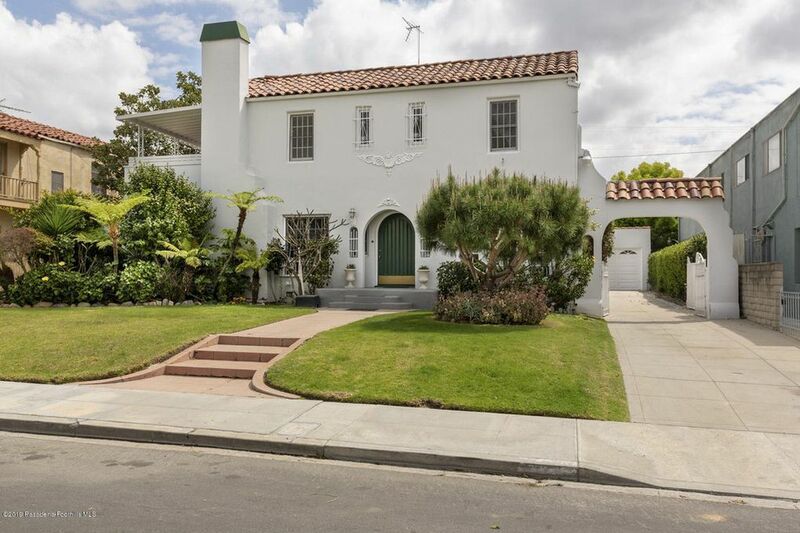 This beautiful 1930 Spanish-style home has been updated in all the right ways including central AC. The remodeled kitchen is a dream to cook in with an adjacent breakfast nook to enjoy the morning light and that first sip of coffee. 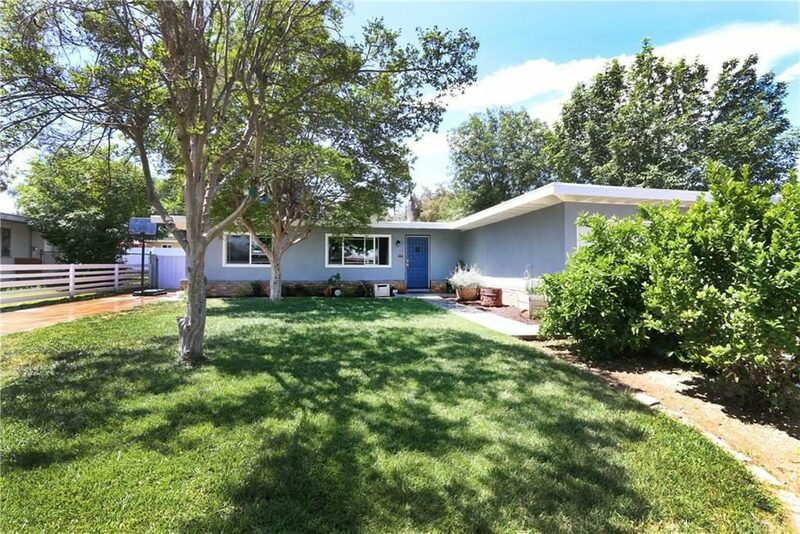 This home features two spacious bedrooms with large windows and original, refinished hardwood floors and one smaller office/bedroom as well as two recently updated bathrooms. Have a twilight cocktail hour on the hard-scaped backyard with arbor and fire circle or host a lavish dinner party in your spacious, formal dining room. Covered ceilings, arched doorways, hallway alcoves and storage–there’s even a basement! 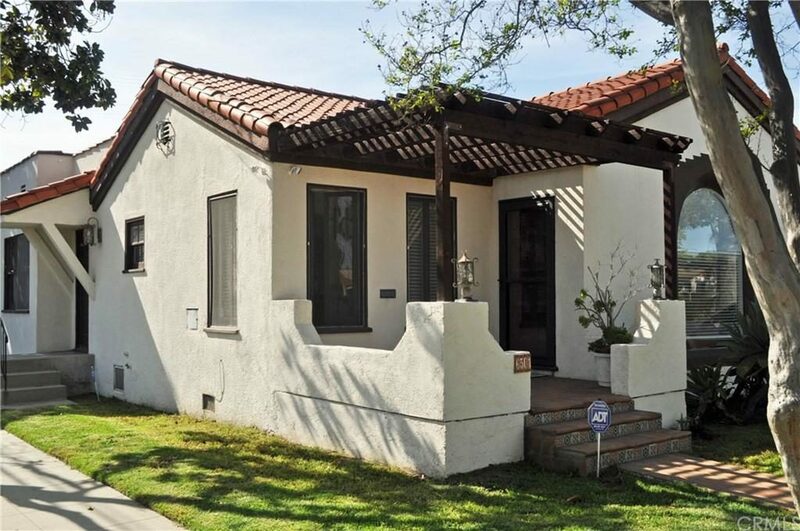 This house is the perfect marriage of updated, modern living and old-world charm. Welcome home! Yes, this breathtaking property is for real! This property has it all! 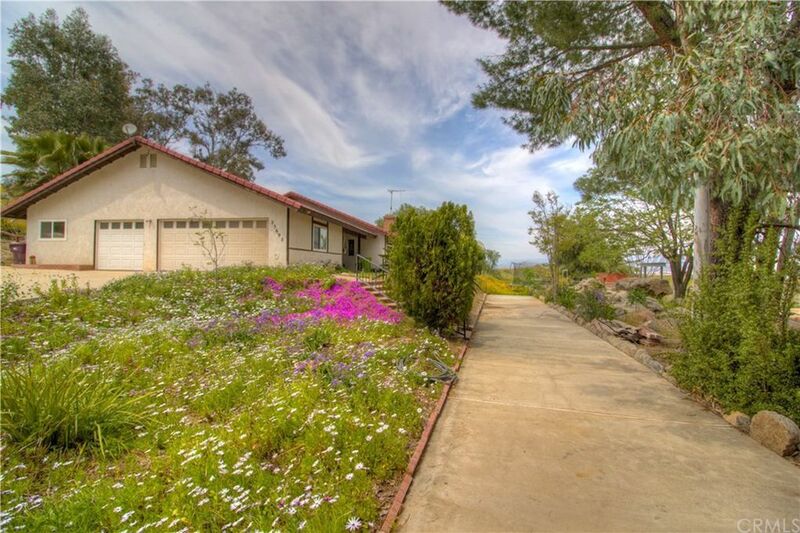 If it is wide open space, hills, rocks, privacy, private road, RV/boat parking, animals, horses, chickens, entertaining and views that you are looking for, well then this location is for you! Boasting an open concept living space and two masters, this house also features the option of a third bedroom. Owner is currently using it as a play room, but it has also been used as a bedroom and an office as well. You have options! With the over sized laundry and utility room off of the kitchen, you have the option to set up your office in there as well. The bedrooms are spacious with en-suite bathrooms. As if this isn’t enough, you have ample garage space in the three car garage, as well as lots of built in storage and a work bench. There is no shortage of storage throughout. Yard includes beautiful custom designed and climate controlled coops or animal enclosures. They have been used for chickens, pigs and cats. 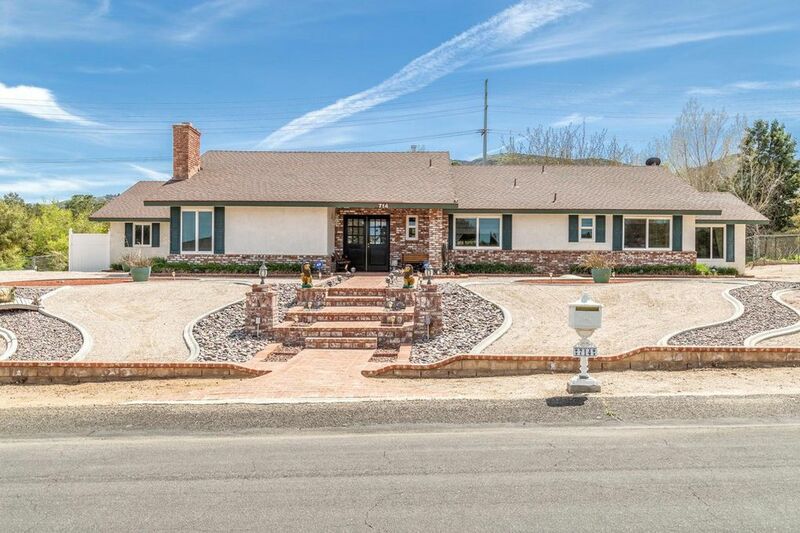 On the other side of the property is where the horse run is located as well as a tack room.With an acre of property, you won’t lack space for the dogs to run around and the children to play. Don’t forget the breathtaking views and opens space where nobody will ever be able to build around you. 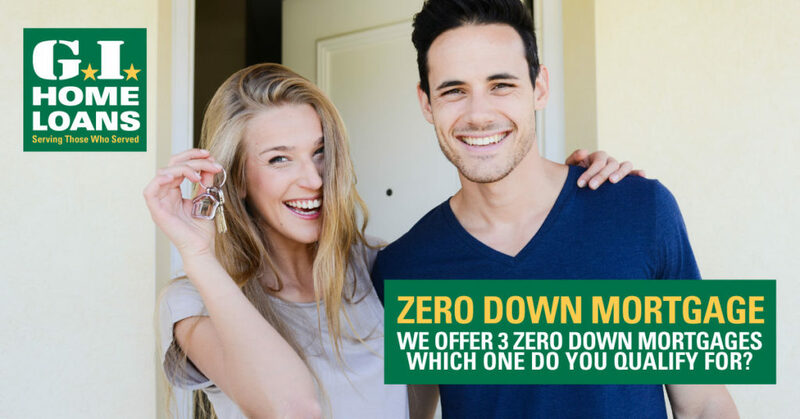 Property comes with new and paid for solar panels and double pained Raydon windows to help offset the utility costs. Think how much you will save on your A/C alone! 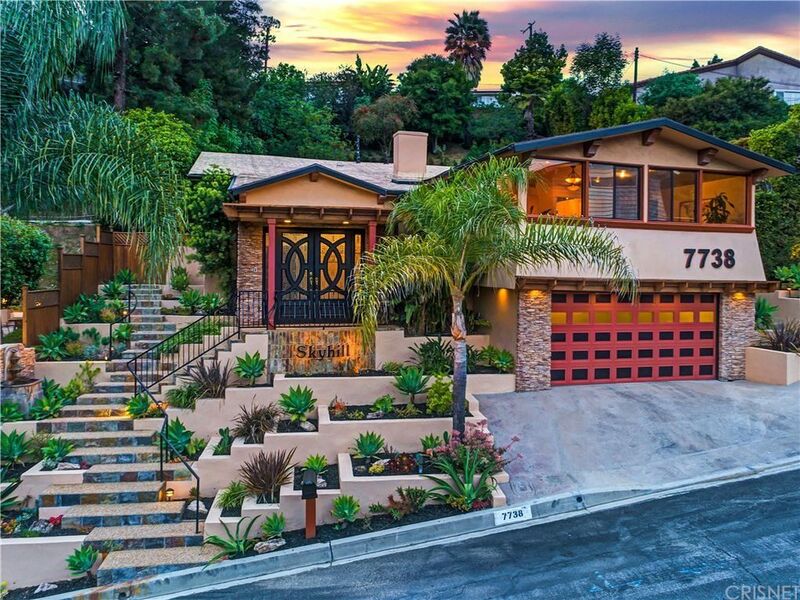 This property does not disappoint!